When autumn leaves start to fall and the days start to get shorter, I am reminded of the value of the change in the seasons. Just as nature goes through its metamorphosis, we too experience transformation in our lives. Whatever changes are calling you this season, embrace them and know something even better is on the horizon. As the Fall season begins to change the landscape around us, FORWARD is getting ready for its next transformation too. In November, our three-year strategic plan will come to a close. 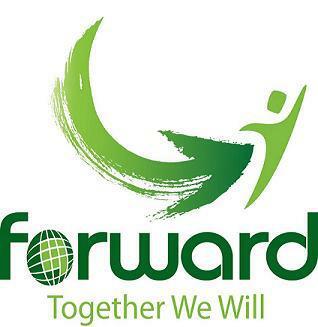 FORWARD, with your support, has achieved a large percentage of our objectives to date (click here to review goals, objectives and key actions). To help FORWARD plan for what is next, we have been gathering feedback and information from you, our coalition partners and key stakeholders. With the information that many of you provided, along with national best practices and recent data, the FORWARD Board will work towards a new plan by the end of November. We look forward to sharing our future strategic direction with you as we work together to improve healthy choices for DuPage residents. Before we move on to share upcoming events and information, I want to extend a special thank you to our twelve organizational partners that helped FORWARD bring a healthy lifestyle message to the first day of the DuPage County Fair this summer. FORWARD’s “ Get in the Action” Day on July 25 th (Family Day) was a huge success! Our partners provided a variety of active and healthy stations to an estimated 2200 children and families. The activities included cooking demonstrations, relay races, aerobic drumming, soccer races, butterfly walks, exercise bingo and much more. My favorite quote of the day came from a five-year-old little boy who said to his Mom, “This is the best day ever, rides, games and even fruit!” We could not have done it without the passion and support from FORWARD's Coalition partners and volunteers! Click here to check out our Facebook page for a list of partners and photos from our “Get in the Action” Day. I hope you have a chance to enjoy this transformative season of change and reap your own healthy harvest. Get outside and enjoy the falling leaves, crisp fresh air or try some fresh apple cider. If you would like to get more involved with FORWARD and help influence positive changes regarding nutrition, physical activity, and the built environment, please contact Tonia at toniabato@gmail.com . This month’s spotlight is on a special partnership to improve the nutrition and physical activity of DuPage County schools. The partnership between Action For Healthy Kids, the DuPage Regional Office of Education, the DuPage County Health Department, Whole Foods (Wheaton, Elmhurst, Hinsdale and Willowbrook), the DuPage Community Foundation, Advocate’s Good Samaritan Hospital and FORWARD has resulted in healthy changes in nine DuPage County schools. The work is central to improving the school environment by establishing strong school Wellness Committees to implement wellness policies to help improve the physical activity, and nutrition environment and engage families and community members in healthier choices. Some examples of the improvements to date include: implementing a 50 mile club during recess, offering more active indoor recess options, having before school yoga classes, using pedometers to increase awareness and motivating students and staff to move more, hosting taste tests to expose students to a variety of new fruits and vegetables, prioritizing nutrition education in PE class, and organizing district fun runs to engage the families. For more information about how to get your school involved, contact Tonia at tonaibato@gmail.com . Help FORWARD share models and practices that are working in DuPage County. As a member of the FORWARD Coalition, we want to spotlight your efforts. Share your work with us to improve the lifestyles for DuPage residents. No program or effort is too small. Please reach out to FORWARD to share your stories! Contact Tonia Batogowski at toniabato@gmail.com. The Healthy Local Foods Incentive Fund bill was signed into law ( Public Act 100-0636 ) by Governor Rauner on July 27, 2018. Subject to appropriation, this law makes permanent a program that would increase low-income Illinoisans’ access to healthy food by doubling the value of their Supplemental Nutrition Assistance Program (SNAP) dollars for fresh fruits and veggies at farmers markets. Limited access to affordable, healthy food contributes to obesity and diabetes. These conditions are especially prevalent among low-income Illinoisans and thus costly to the State of Illinois. The Healthy Local Foods Incentive Fund has the potential to reach 2 million SNAP users. It will help make healthier, locally-produced foods more available to this population, will stimulate local economies and support local farmers, and could reduce Medicaid costs with a healthier SNAP population. Special thanks to the Illinois Alliance to Prevent Obesity and FORWARD Coalition members that supported this bill. James Patchett, Conservation Design Forum, will be discussing sustainable land use planning and urban design, stormwater. Patchett is a dynamic and thought-provoking speaker. For more information click here . Explore, enjoy and protect the planet. This is an easy 2-mile walk on the Illinois Prairie Path to Hill Avenue and back. Contact Quinton Jenson at 630.550.0023 for more information. Join a free celebration of the horse and the season. Enjoy a parade of breeds, hayrides, face painting and more. All ages welcome. Click here for more details. Join others in our region to connect communities and resources to make lasting improvements to the economy, ecology and social equity. Register here . The summit is designed to help community groups and residents gain advocacy experience to advance local and regional walking and biking goals. Residents can register here for free and lunch is included. Would you like your school to promote healthy, local fruits and vegetables while educating your kids about fresh foods? It's a free and flexible way to buy, grow and serve more local food. To learn how you can participate click here . A practice of spending time in nature and forested areas for the purpose of enhancing health, wellness and happiness. Click here for more information. Learn about natural ways to maintain and restore your health. Uncover research that directs you to optimum health using natural means. Click here to RSVP. The program will award grantees $1,500 in stipends for projects related to creating healthy, active, and engaged places to live, work, and play. Click here to apply. Learn how advancements in technology have allowed for increased mapping and tracking of data that can help improve walkability. Register here . 100% funding is being offered and municipalities and school districts are invited to apply for the benefit. For more information, click here . This is a health promotion and education program offered free of charge to children ages 8-14 that are struggling with their weight. For more information, click here .